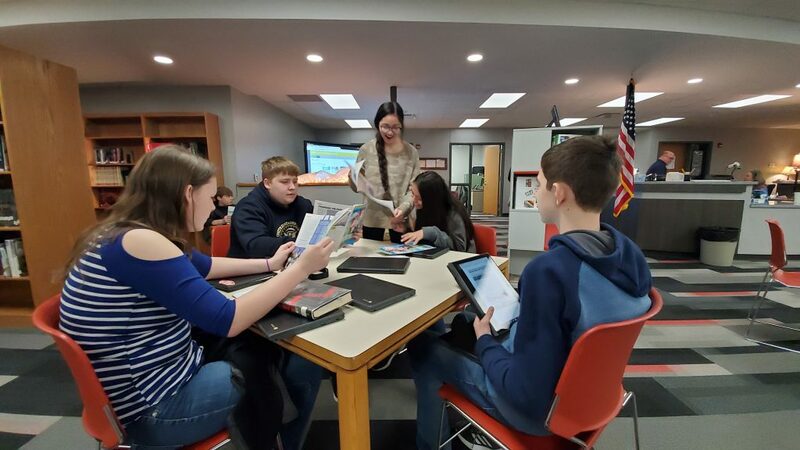 The new Library Media Center at the Jr. Sr. High School bustles with activity as students integrate new technology with contemporary print materials. 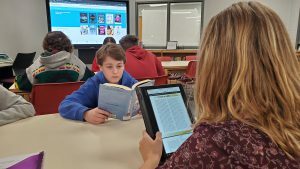 Students may choose to check out a title from their favorite author by searching the catalog traditionally or by downloading a digital book from our many titles available from OverDrive. 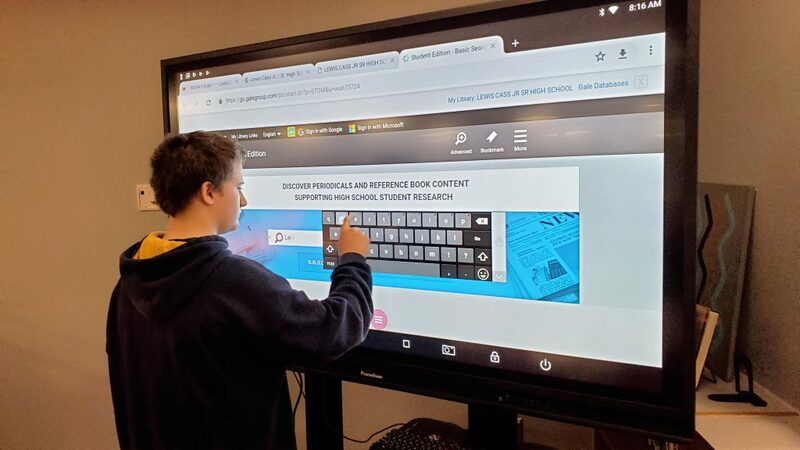 The new space allows students the opportunity to utilize their electronic devices as well as a comfortable place to quietly read, and take tests, and to work on group projects or conduct research.